Step inside the mysterious realm of Rothbury and you will find yourself inside a music festival unlike any other in existence. Now in its fourth year, the Electric Forest has become one of the countries premier music and art festivals, offering a truly unique experience with state-of-the-art sound and production, mesmerizing art installations including the famed Sherwood Forest, and a diverse collection of feel-good music ranging from the soaring melodies of The String Cheese Incident and Umphrey’s McGee to some of the heavier, more obscure underground electronic music producers in the game today. Whether you’re a veteran music fan or a new age festival-goer, there is a little something for everyone to enjoy, and with five stages and plenty of new artists just waiting to be discovered in depths of the forest you never know what you might find. 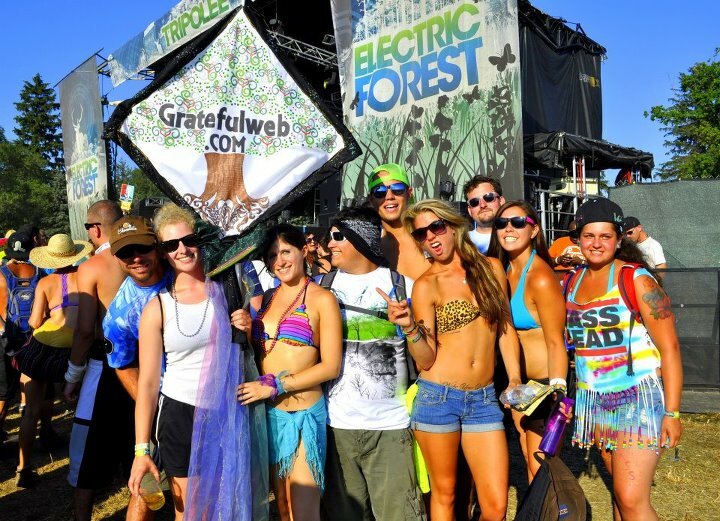 Here at the Grateful Web, we’ve got you covered on all the sights and sounds that will be taking place in Michigan at this year’s Electric Forest Music Festival 2014. As soon as you step foot into the electrifying Sherwood Forest, time seems to slip away as you are transported to a world that could easily be mistaken for a scene out of Alice in Wonderland. Groups of miraculous dancers and actors glide across the dusty trails while art exhibits and installations flood the forest with brilliant color and light. Hidden performances on secret stages take place almost daily in the Forest, so be sure to keep an eye out for your favorite artists, they might just be playing un-announced. At night things only seem to get weirder, with exotic lights and bizarre figures woven into the woods illuminating the trees above. Don’t attempt to use the landmarks as a navigation tools however, chances are they will mysteriously disappear into the night only to be replaced by something more strange and interesting. 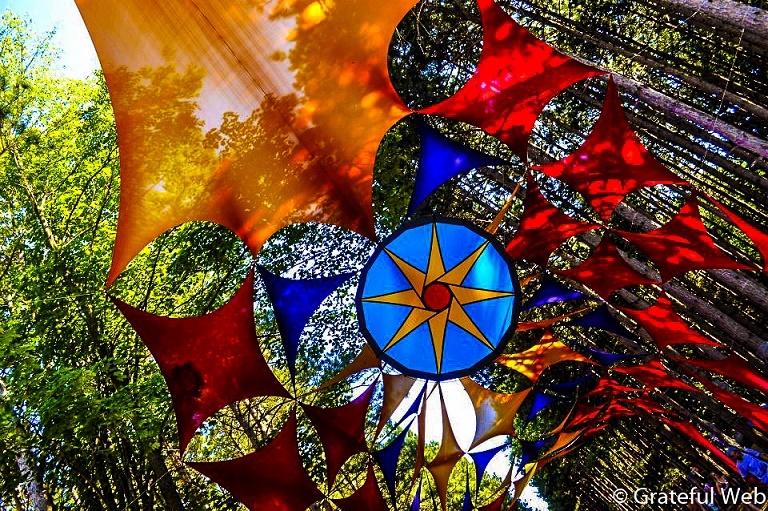 It is this very theme of mystery that keeps the Electric Forest fresh year after year, and what attracts the fans to wander its illustrious woods. The element of surprise, the thought of knowing that anything can happen, and probably will happen, is what makes the Electric Forest Festival such a life-changing experience. Although one of the main attractions of this particular event is the major production that goes into making the festival, the music is always comes first and foremost. Colorado’s own the String Cheese Incident will once again be headlining this year’s event, playing four sets of music (approximately 12 hours) spread throughout Friday, Saturday, and Sunday night. Like always, String Cheese is bringing an all-star cast along with them for the ride, including the debut of the Mrs. Lauryn Hill Incident on Saturday night at the Ranch Arena. Aside from the countless special guests to jam with, Cheese always provides some sort of electrifying visual stimulation for their fans enjoyment. From stellar fireworks and floating luminescent candles to giant inflatable racecar drivers and sharks, Cheese has set the standards incredibly high when it comes to what to see and expect in the Electric Forest. 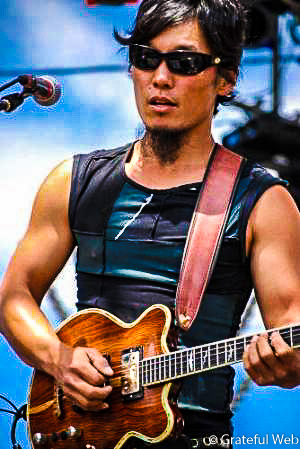 The String Cheese Incident just released “Song In My Head,” their sixth studio album and first album release in nearly nine years, so expect to hear a few new tunes off their latest album, as well as some funky renditions of all your favorite String Cheese classics. The String Cheese Incident however, isn’t the only jam-related headliner to be featured on this year’s Electric Forest line up. 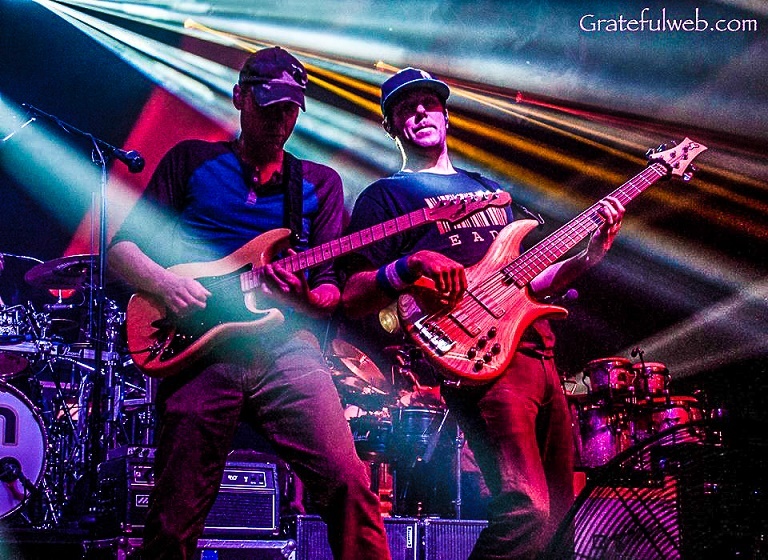 Joining SCI this year will be Midwest-based progressive rock group Umphrey’s McGee and jamtronica pioneers STS9, both of whom will be performing multiple sets throughout the weekend. Umphrey’s McGee, who just announced their new record label “Nothing Too Fancy Records,” as well as released their most recent studio album “Similar Skin,” will be making their debut performance at Electric Forest and are sure to transform some fans into Umphreak’s by the end of the weekend. STS9 first headlined the Forest back in 2012 however much has changed with the Georgia-based group since then, with long-time bassist David Murphy leaving the group a few months ago and the recent addition of bassist Alana Rocklin. Many Tribe fans however, are enthusiastic about the new sound and credit Rocklin with bringing Sound Tribe closer to their original roots. Gone are the days of heavy, loud and seemingly out of place basslines, instead replaced by funky, flowing tones provided by Rocklin, giving STS9 a more organic sound resembling their earlier years. Look for both members of Sound Tribe and Umphrey’s McGee to be making guest appearances throughout the weekend, and don’t put it past them to indulge in some secret sets of their own. The electronic music scene is alive and well inside the Electric Forest, from the mesmerizing sounds of Flying Lotus and Tycho to the retro underground house beats of Booka Shade, there are plenty of astounding electronic producers and DJ’s embedded throughout the 2014 lineup. Headlining in the EDM department is dubstep giants Zed’s Dead and Excision, along with Swedish House Mafia founder Steve Angello. However, take a bit closer look and you will find a number of smaller artists and producers who compose groundbreaking multi-genre melodies that will leave you smiling in awe. Art Department is the brainchild of Canadian house legend Kenny Glasgow and label owner Jonny White. Together they provide some of the deepest sounds in underground electronica and have headlined some of the biggest electronic music festivals all around the globe. Be sure to catch these house pioneers Sunday from 1:45 am–3:45 am on the Tripolee State for some of the freshest sounds in the scene today. Beat junkies Boreta, edIT, and Ooah, better known together as the Glitch Mob, have grown to produce some of the worlds most textured and glitch-embedded dance music. From their incredibly successful debut album “Drink the Sea,” to their 2014 release, “Love Death Immortality,” the Glitch Mob have risen to a level of EDM royalty, and become some of the most influential producers in their respected genre. The Glitch Mob will bring their barrage of distinctive glitch-hop sounds to the Electric Forest live on Thursday Night at the Ranch Arena for a performance that is not to be missed. Well what about hip-hop? Where’s the reggae at? Don’t fret. Electric Forest came plenty prepared with styles and tastes to please all of your musical delights. The legendary Stephen Ragga Marley will be bringing his Ghetto Youths Crew to the Ranch Arena at Electric Forest on Saturday night. The second son of Bob and Rita Marley, Stephen had his debut solo album “Mind Control,” premiere at No. 1 on the Billboard Reggae charts in 2007, and has gone on to be a definitive member of modern day reggae music. Joining Stephen Marley in the reggae department is Minneapolis-based trio Jon Wayne and The Pain, who have made a huge splash on the festival circuit lately with their Reggae-Tronic Dub sounds. These guys have mastered the craft of blending old school reggae with new school vibes, creating an infectious balance of non-stop dance music. Jon Wayne and The Pain will be performing Thursday night from 6:30-7:30 on the Forest Stage and are sure to turn some heads with their signature electro-dub styles. On the hip-hop end of the discussion, there is rapper extraordinaire ScHoolboy Q who represents a rising breed of MC’s in the hip-hop industry today. The Los Angeles rapper already has quite the reputation in the underground mixtape and hip-hop community, however recently he has busted onto the mainstream circuit with his charismatic presence and witty punch lines. ScHoolboy Q’s West Coast California styles flow fluidly with his hard hitting beats and will bring the perfect balance of hip-hop and soul to the Electric Forest community. Electric Forest has become a household name in the festival scene, and for very good reason. It’s an incredibly well-organized event, with a diverse and interesting lineup along with top-of-the-line production and sound to blow away the over 50,000 fans attending. If you’re looking for a diverse musical selection combined with an energetic fan base, then in the words of the Talking Heads, this is the place to be. From top to bottom this festival has everything and then some, from stunning visuals to musical masterminds and everything in between, Rothbury, Michigan is hands down one of the premier festivals to attend this summer. So if you’re one of the lucky fans to be attending the sold-out event this year, we’ll see you in the forest!